If you’re charged with a federal offense, you’ll need a federal bond. So, just what is a federal bail bond? Federal bonds are bail bonds for US District Court criminal cases. Federal bail bonds are used to free a defendant from a federal holding facility once a federal judge determines the bond amounts. There are no bail schedules of bail amounts set for individual crimes. The normal premium charged for a federal bond is typically 10 to 15% of the bail bond amount and these type of U.S. government bail bonds bonds do take some time to process. 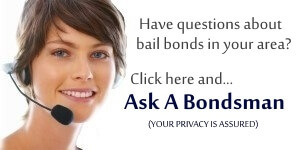 You don’t mention if federal bail bonds are expensive. Are these bail bonds more expensive than normal state or city bail bonds? And how long does a federal bail bond take to process? Thank you for the information. My aunt has got her self into some trouble, and is facing federal charges. I was wondering what it was going to take to get her out on bail. I am glad to hear there are means of getting federal bail bonds. I will have to wait till the judge sets the price. I hope it will be soon, so we can see what can be done to get her out for the time being.